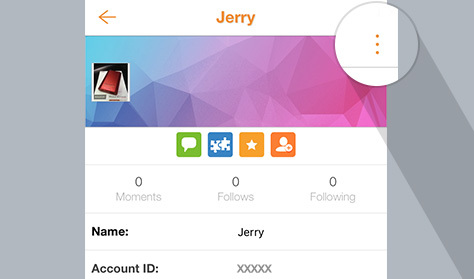 To report a user of inappropriate behavior, there are two ways: a chat conversation or from the user’s profile page. a.) 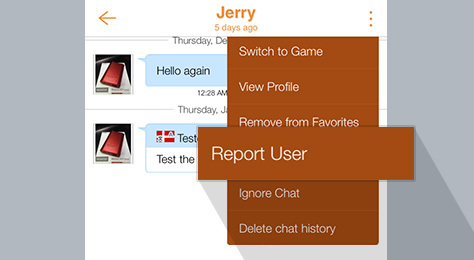 In a chat conversation, tap on the “three dot” icon at the top right. b.) 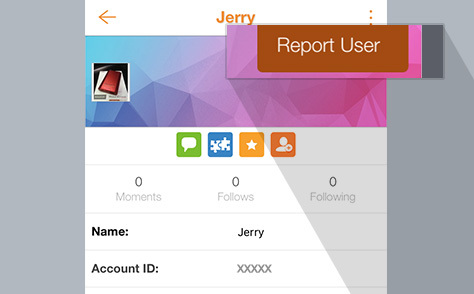 Now tap on Report User. c.) You’ll be given several options. 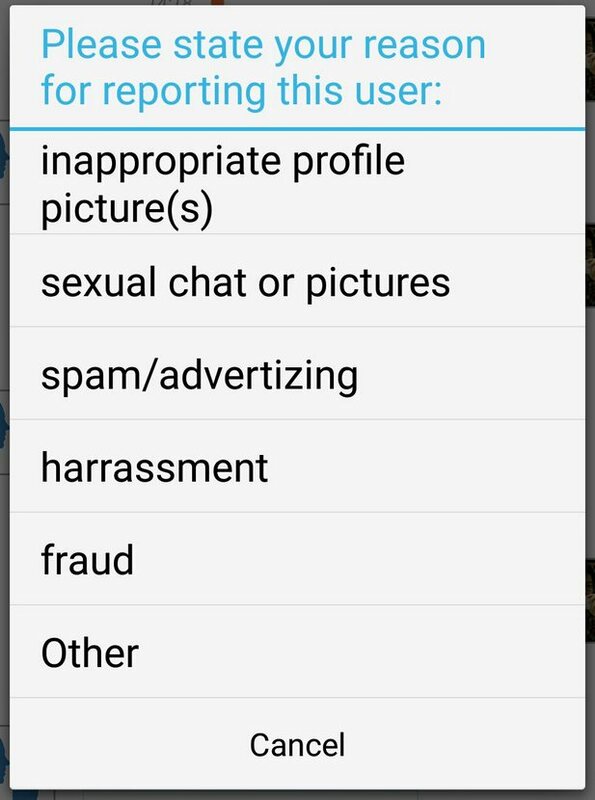 Tap on one of the reasons to report the user. 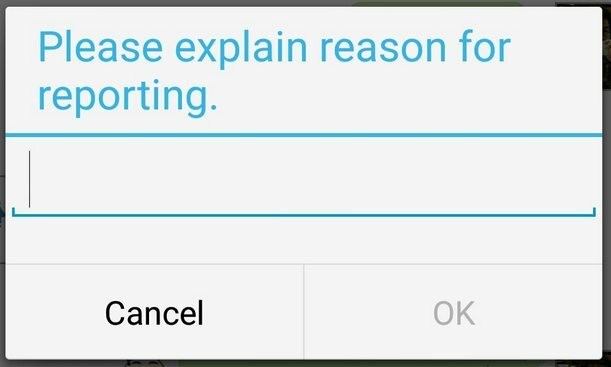 If you tap on Other, please write an explanation so that we may investigate even further. When done, press OK to send. To dismiss, tap on Cancel.. a.) In their profile page, tap on the “three dot” icon on the top right. To dismiss, tap on Cancel.